East Nassau, NY (January 2, 2019) – The identity of the man who was tragically killed in a house fire, as well as the precise location of the incident, have now been released by authorities in East Nassau. 19-year-old Jonathan Saviano sadly died from injuries he sustained after a fire broke out at his home at 442 Saddleback Ridge Road early Friday morning, December 28. Police received a call concerning the fire at approximately 4:30 a.m. Emergency medical crews arrived along with authorities and firefighters to assist at the scene. Tragically, paramedics were unable to save Saviano as he pronounced dead at the scene. Initial reports stated that pets may have perished in the incident as well, and new information confirms that one dog also died in the fire. The Rensselaer County Sheriff’s Office is currently in charge of investigating the cause of the fire at this time. No further information has been made available. First and foremost, we would like to express our sincerest condolences to the loved ones of Jonathan Saviano during this absolutely devastating time. We also wish to express our gratitude to all of the New York firefighters who risk their lives for the citizens of our community each and every day. 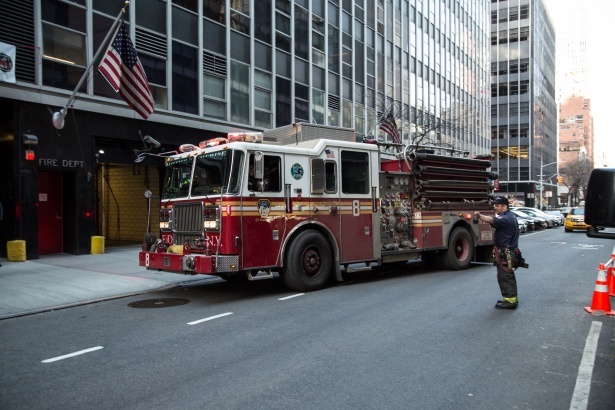 Many fires in New York are often fatal, or at least critically injurious, as they are among one of the most harrowing situations that anyone can encounter. After such a dangerous event, it is terribly important for loved ones to know that you may have the right to be compensated for your losses. At Hach & Rose, we are here for you 24/7 as we are passionate about assisting those who have been affected by the inattention of another party or other entity. If you have lost a loved one in a New York fire or explosion, please call 212-779-0057 and let us put our experience to work for you today.